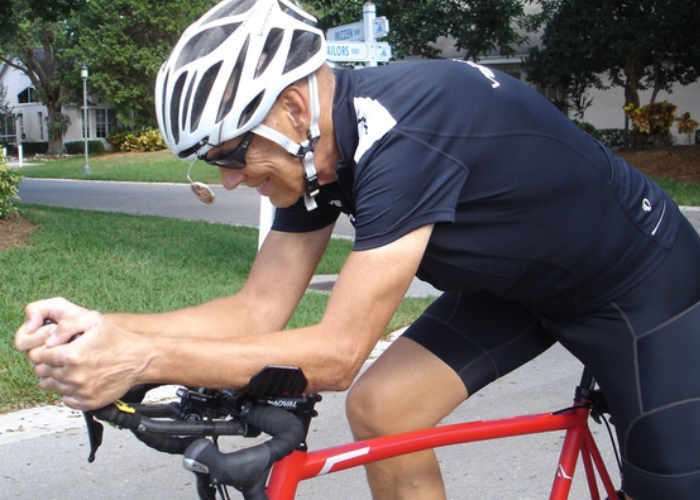 Cyclists that use Aerobars for a more comfortable and aerodynamic riding position, that would like to keep their head down for longer periods of time without the need to check the road ahead. Are sure to be interested in a new product which has been created by Carl Panek and Larry Leventhal. The VeloView Prism has been designed specifically for bicycle Aerobars and allows you to keep your head down while still being able to view the road ahead, giving you an aerodynamic advantage over your competitors who still have to raise their heads to check the road ahead. Watch the promotional video below to learn more about the designers and their inspiration behind the VeloView Prism, which is now launched via Kickstarter and is available to back with pledges starting from just $40 and shipping expected to take place during March 2017. The VeloView Prism was developed to allow the rider to look forward while keeping the riders head down in an aero position. “Safer, Faster, More Comfortable” has been our motto right from the start. We tried battery draining sun inflicted LCD monitors as well as bulky mirrors before we came up with the VeloView Prism. The more we developed and tested the more clear our vision became looking forward. Our biggest challenge is getting this out to the world. We have already locked down our injection molding and our shipping pipeline. We developed the VeloView Prism over a 10,000 miles of product testing and multiple 3D printed iterations. We put the best design forward and sourced the best optical grade glass we could get our hands on. We can honestly say “Anyone who has installed a VeloView Prism hasn’t taken it off of their bike”. The advantages are clear. Keeping your head down makes you faster. Riding in this head down position lowers the stress on neck and back muscles. Maintaining great forward visibility makes for a safer ride. Jump over to Kickstarter for more information and to make a pledge by following the link below.